Digital Signature (Dongle) has been integrated for all affiliating authority and colleges users at all levels. Now Dongle or eSign can be used for digital authentication. E-Sign service enabled from 09-07-2017. All Affiliating Authorities are requested to use e-Sign service. Jnanabhumi Scholarship Application Form (J-SAF)-2017-18. Application for APTWRJCs will be available from 05-05-2018 on the same portal, hence request ST candidates to apply from 05-05-2018. Click here for Online Affiliation for 2018-19 College Registration & confirmation are open for 2018-19. Academic Calendar Entry is opened for 2018-19 in University. E-Sign Services are temporarily down. Please Use DSK for all services. The Hon’ble Chief Minister has directed that the provisions contained in G.O.Ms.No.103, Social Welfare(Edn.2) Department, dated 24-10-2016 be implemented in letter and spirit & in-toto from the academic year 2017-18 & to develop a smart portal for providing the integrated & seamless delivery of services relating to Education and Scholarships for both the students & the educational institutions to attain synergies. JnanaBhumi portal embodies the spirit of the aforementioned directives of the Hon’ble Chief Minister and attempts to leapfrog into a dimension of seamless It interface that breaks departmental silos and integrates the entire lifecycle of the student. JnanaBhumi is the path towards achieving the larger mission of transforming Andhra Pradesh into a Knowledge Economy. An educated Andhra Pradesh Happy Andhra Pradesh. The portal is built with strong cooperation among the Social Welfare, various Education Departments and draws its form from the technical expertise of APCFSS. Jnanabhumi Portal Login can be for Students, Employee, College, University and RIO. 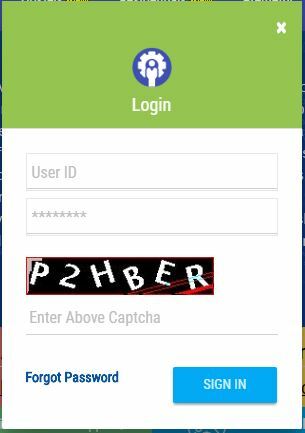 After Registration Process Completes User will get User ID and Password. That can be Entered and once Captcha Image Code Enters, User can Successfully Login to jnanabhumi.ap.gov.in login. jnanabhumi student login can be used for Scholarship Entry & Application Process. If Jnanabhumi password lost, You have to show your Identity. First Click on Forgot Password. Then select Eighter Student, Employee, University, RIO. Then Enter Adhar Number to complete Identity. Password will be sent to your Mail ID and Mobilephone. Board of Intermediate BIEAP Conducting Betterment/ Supplementary Exams in this month. So Hall Ticket is must to Enter into Exam Hall. Use the following links to get your Hall Ticket for AP Inter Supply Exams 2018. If still, you are unable to get the proper link, Contact your Principal Immediately. You can get Hall Ticket from Concerned College. AP Govt has introduced Jnana Bhumi AP portal for Students scholarship assistance, Application, Registration, Renewal etc., especially for students seeking higher education and Post Metric Scholarships. In Jnanabhumi, Student can register @ jnanabhumi.ap.gov.in . Its must to get the Scholarship. The complete information about Jnana Bhumi AP Students scholarship, registration process, contact numbers and other information please Login to the Jnanabhumi Portal as Student Login.